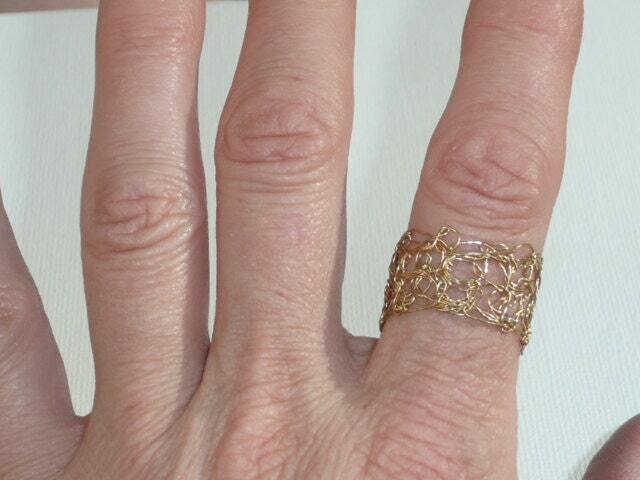 Meshring - Elegant and subtle wire crochet ring in either vermeil gold or argentium silver. Please especify your size (US), the desired width, and your choice of wire (gold or silver). 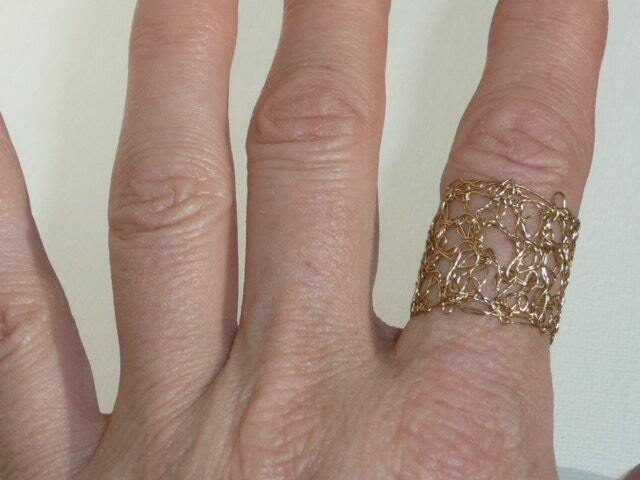 These rings can also be embelished to match an outfit. For more information and delivery time, please contact me. 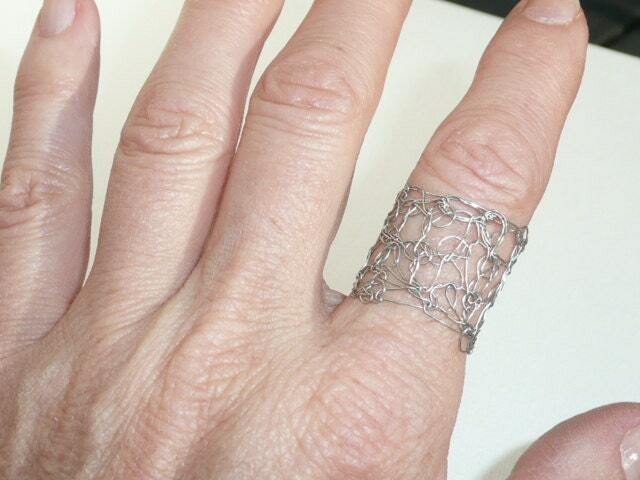 Each ring will be unique and different since they are all hand crochet.